Home » Blog » Artist or a band wanting an animated music video? Are you an artist or a band wanting an animated music video? We make a handcrafted animated music video for your new song! Artist or a band wanting an animated music video? Animation in music videos and lyric videos have exploded in the last few years. Animated music videos are an exciting form of entertainment and a great way to improve a video and the delivery of the message in your music video. 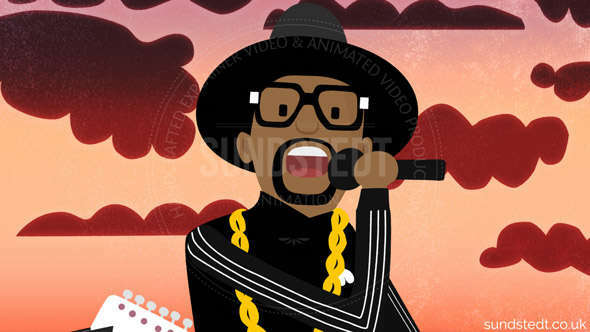 We create bespoke handcrafted 2D animated music videos and animated lyric videos from scratch. 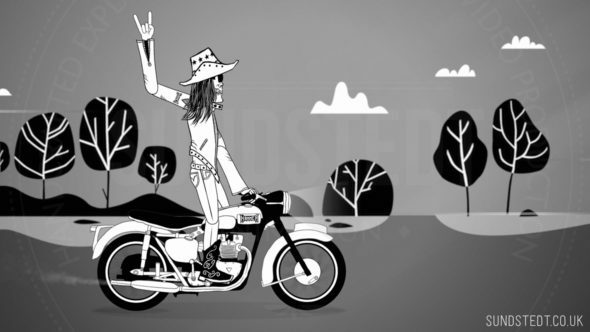 Are you an artist or a band wanting an animated music video? Are you a new artist or band planning to make an animated music video and is wondering if we can send you a quote with pricing? We like to work both with new bands, hot bands, less known or nationally known. We always work to create the best video yet. Have you done a video before with 12 million views? That’s cool but we are really keen on working with new and less known bands and artists as well. Simply get in touch and tell us about your idea for the video. Project Brief? First, tell us about your music, your YouTube, vine, sound cloud, Twitter and other channels so we can start to familiarize ourselves with your music and the song you want an animated music video for. What is your fandom? 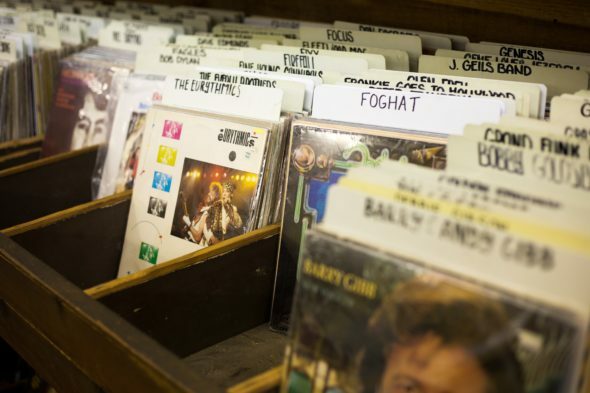 Let us know and we will research your music. 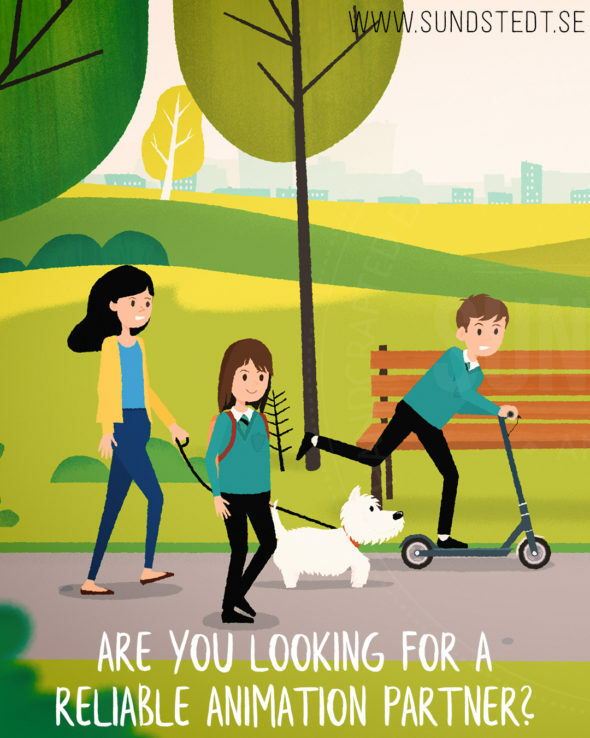 Animation styles – have you got something in mind? If you have a great idea for a music video or lyric video we can help to come up with the animation for this idea to create the best possible end product. Animated music videos we create can be in different unique animated music video styles. 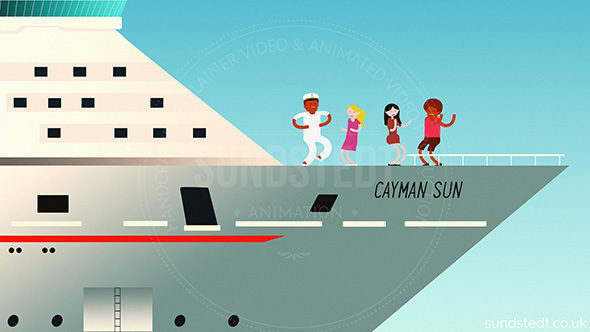 Sundstedt Animation has the skills to produce both original, quirky and low-fi style handcrafted animated music videos. 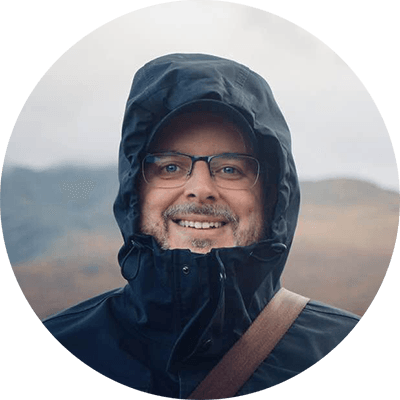 We like to know what style of video that you want and if you like a strictly animated video or an animated interaction video. The best reference for the look and feel you are going for? Send links to what you like and we can have this in mind when creating our own unique artwork for your video. To check some of our own animated video styles, please go here. We can do any style of music video, for example a rough looking animated music video, a papercut style animated music video, a weird animated music video, a cool animated music video or a crazy animated music video. If you have live-action footage, we could even do an animated music video with live action if that is what you are looking for. If you can draw or sketch, send a rough storyboard as well if you have something in mind, even stick figures will do for explaining what you want. Based on your initial idea and some art direction, we go ahead and make your video, including character design, artwork, environments, illustration and animation. How long is your song? We also like you to tell us how long the song will be so that we know the expected length of the animated music video. It’s a lot more work doing a 4 minute animated music video or lyric video compared to a 2.5 minute one. Perhaps you don’t know the length yet? Then simply give us a rough time in minutes. 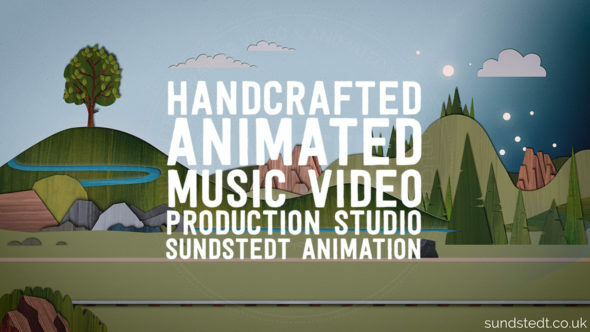 Whatever you need, Sundstedt Animation studio near Glasgow will always aim to produce our best animated music video work. Great, so when do you need it by? Next, we like to know when do you need it done. Within 2 months? Within one month? This is also important because creating an animated music video takes a lot of time, especially when they are handcrafted like our videos are. 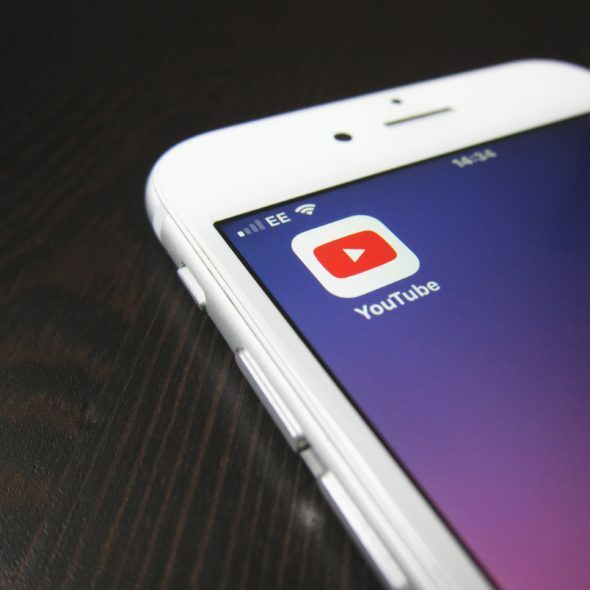 A production time between 5-10 weeks is an expected length depending on the video length and complexity, so if you are in a rush, please do get in touch early. An animated music video is a great way to gain extra promotion for your music; to enable it to get extra air time, to increase the sales and generally increase awareness of a band or artist. An animated music video can also be used to improve an artists website and as an effective social media marketing tool promoting your music. There are many great examples of animated music videos, both ones that are all animated and some that are a combination of animation and live action shots, both variants to bring the story to life. Artists that have used animated music videos include The Killers, Steven Wilson, Daft Punk, Queens of the Stone Age, Gorillaz, Kanye West, REM, Basement Jaxx, The Shins, White Stripes and many more. 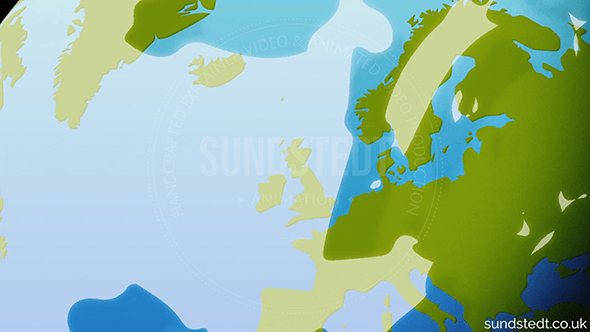 Sundstedt Animation proudly creates creative handcrafted animated music videos and lyric videos near Glasgow, Scotland, UK. We work with different artists, bands and businesses worldwide, including the UK, US and Canada. We love what we do, which has a big impact on the quality of our work. 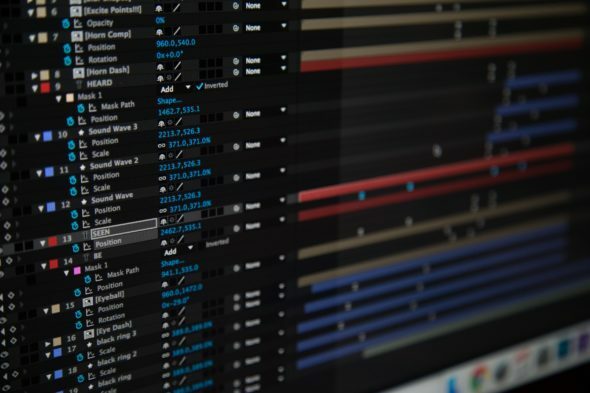 Creating an animated music video or lyric video for your song and sharing it across multiple channels is a great way to help enhance your brand and to showcase your song online. As an animated music video company, we are highly experienced in working with both small and large organizations and labels. 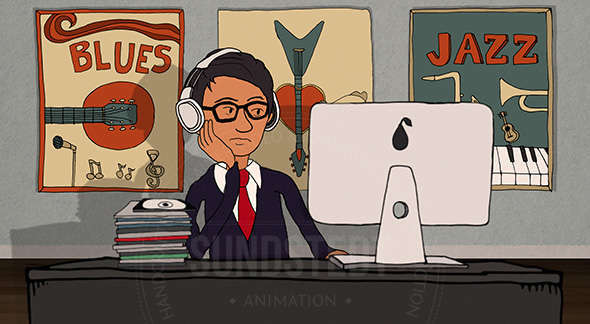 We are available to create a fully produced animated music video or lyric video, helping you choose the style of animation that works best with your music video, including any character designs. 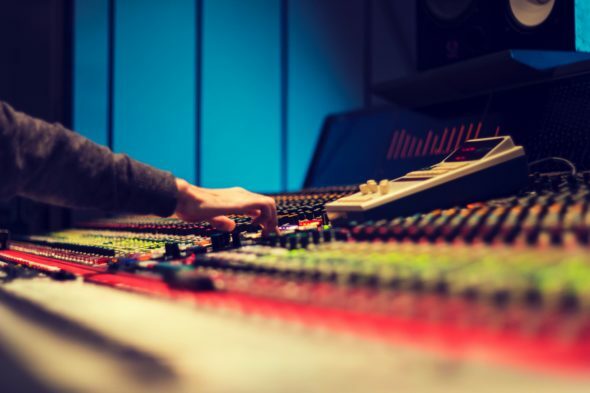 We focus on helping independent artists and labels have a music video or lyric video made for their song, to use for their website, YouTube, Vimeo, Broadcast or any other promotions. 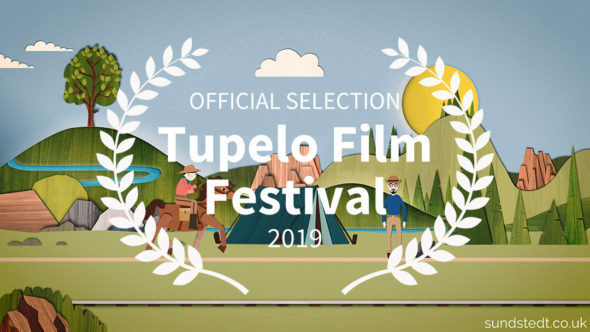 From creative animated cartoon/illustrated music videos to motion graphics, we can produce great looking animated video content for your artist, band or event. Contact us today and let us know your thoughts an ideas for your animated music video or lyric video. Remember: With us you always work directly with the director, artist and animator, there is no Agency involved when you work directly with us. This is also why we can offer very competitive prices while ensuring high quality. Our Animated Music Video Production includes artists like Juki – DJ, music producer/remixer, singer-songwriter, keyboardist and promoter. We have also worked with the charting folk duo The Lark and the Loon, Pale White Guy, HAMMER, DEZ and The Mother. The bands and artists that we work with are from a wide range of music genres including pop, rap, folk and heavy metal. We are interested in working with all artists and bands from all musical genres that like our videos, big or small. Our portfolio of web video animations are growing: Our clients includes many different industries, renowned corporations and trendy start-up companies. 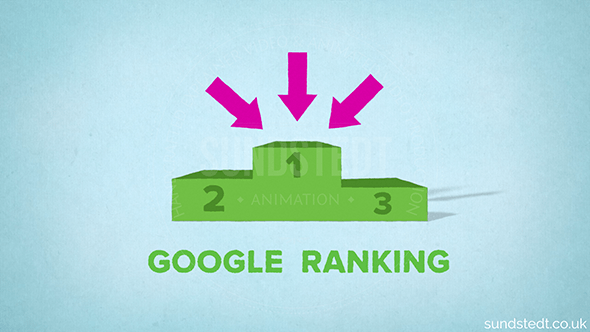 We know from data from Google, that online videos, stop motion and other online videos can improve your websites page ranking. As more bands & artists start using animated web videos for marketing, animated music videos and lyric videos can be a great marketing tool now and in the future. 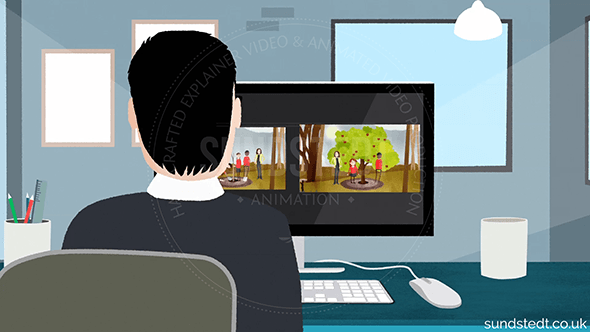 Our animation studio is able to design truly custom made animated music videos that will be original and handcrafted to be different from other animated music videos, by paying more attention to the quality and details to create an interesting video (that can also help in driving more web traffic to your site). Please use the standard start your project form to get started and we will supply you with a free storyboard template that you can use for explaining the idea for the animated music video. So, if you have an idea and budget for a music video for your song, please do get in touch today and we will get back to you right away. You can also call us between 8 am and 7 pm Monday to Friday, UK time. After we have your provided details and we have agreed on a budget, production can start and we create artwork like character designs for animations for every scene in the video and approve it with you. If you or your band has a mascot character / character design, we are happy to animate this character in the animated music video if you want. Then we can prepare for all the animations, setting up the environments and artwork for each scene, trying to get everything perfectly prepared before animating the scenes. We can offer you custom High Definition music videos, designed to meet your exact requirements, up to 4K. 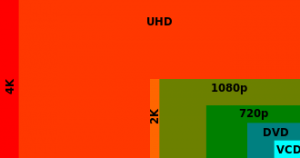 We work in 1080p HD and deliver on time and on schedule. If you are looking for promo sequences for an event or festival, we can take care of that as well. 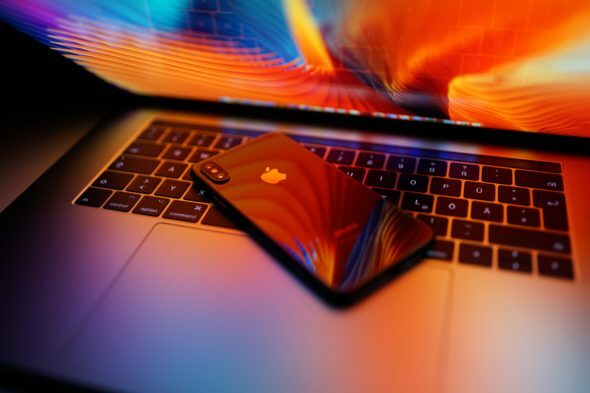 We test and view our videos on iPhones, iPads as well as desktop computer screens and in browsers for optimal result, making sure they look great on the different platforms. Every animated video we build is 100% unique and we make sure this is the case by not using any stock footage or templates. 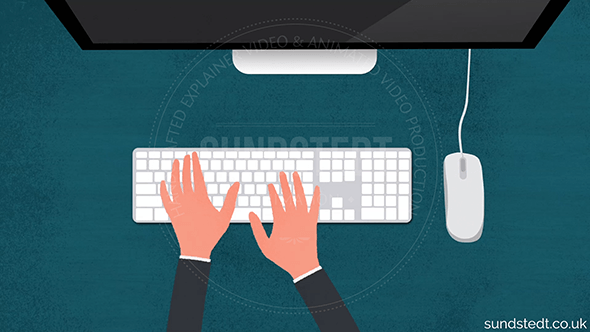 To find out more about Sundstedt Animation and how we work, please check out the About page and the blog. Thank you for reading. 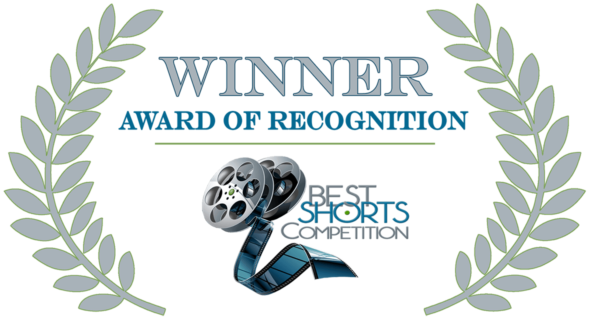 We look forward to working with you in producing your animated music video or lyric video. Subscribe to our Newsletter for updates?